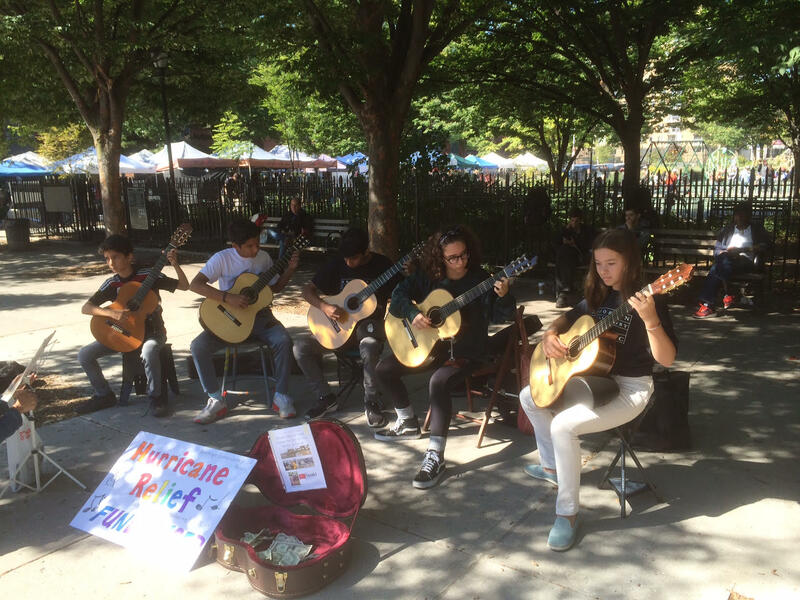 We are proud of our BKCM guitar students who raised $600 for a Houston Suzuki guitar family displaced by hurricane Harvey! 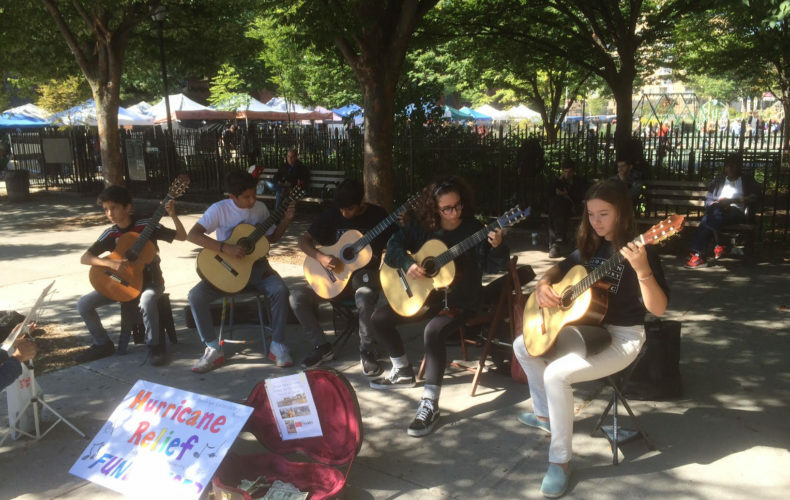 Our students played outside for two hours, giving the gift of music to make a difference in this family’s life. It took a long time to get the check to them because they don’t have a mailing address since their house was destroyed! The family drives an hour to get to their Suzuki lessons. We wish them all the best.